← Quilt Show! Quilt Show! Whew! 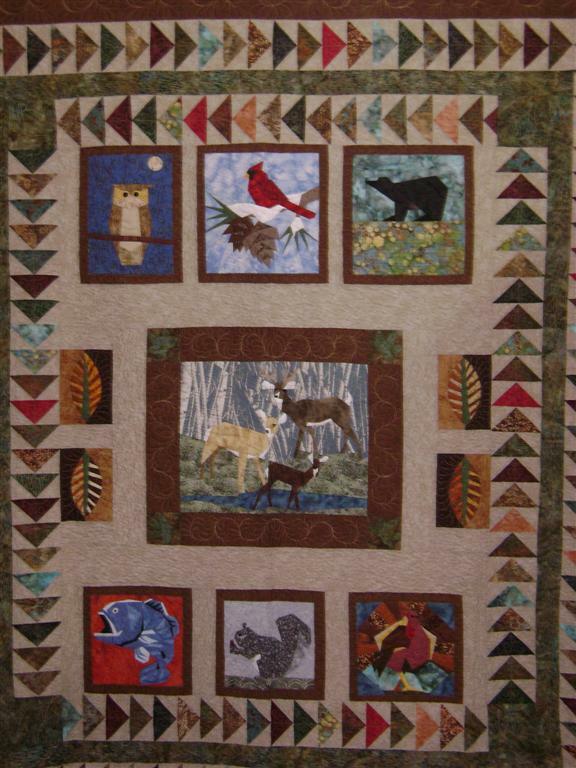 The quilt show is past for more than a week now, but there has still been much to do. Finally I got pics off my camera and can now post them. Unfortunately I was so busy at the show I did not get many pictures – not even of all my entries or my ribbon winners. I’m going to post a few of my favorites – yes, I had many more, but just didn’t get the camera out. The show’s challenge was “Red and White.” There were about 28 entries in the challenge. I did a small Dresden Plate – my first crack at English paper piecing which I really enjoyed. 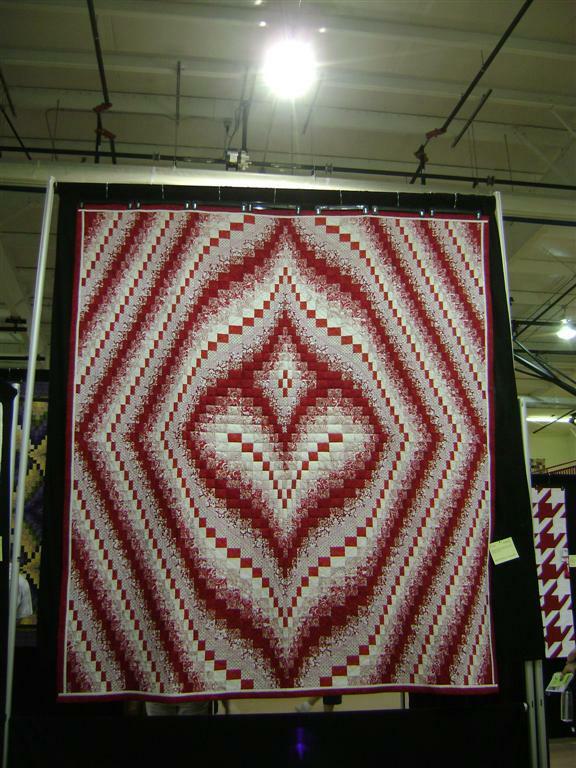 Any how about Cindy’s red and white Bargello? It was just stunning hanging at the show. 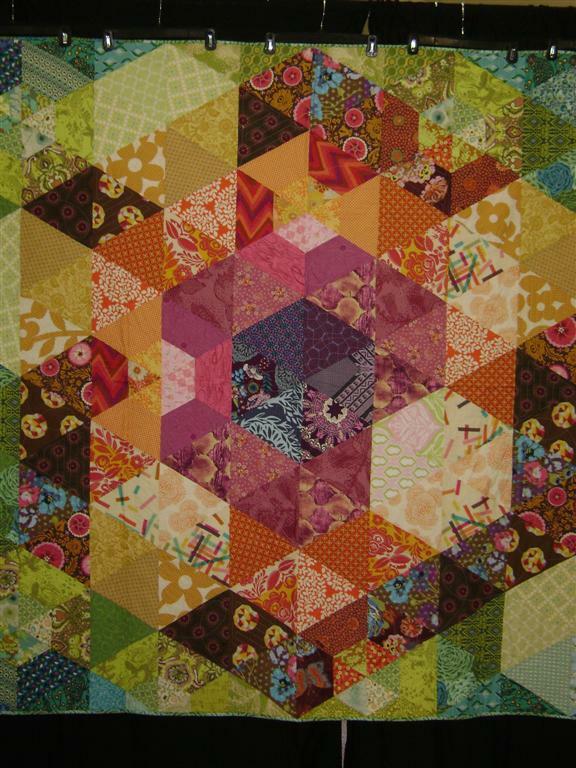 Laurie did the very large English paper pieced quilt – wow! What an effort! Elyse’s prism quilt looked quite stunning hanging – it can be so much more appreciated hung and at a bit of a distance or through the lens of a camera. 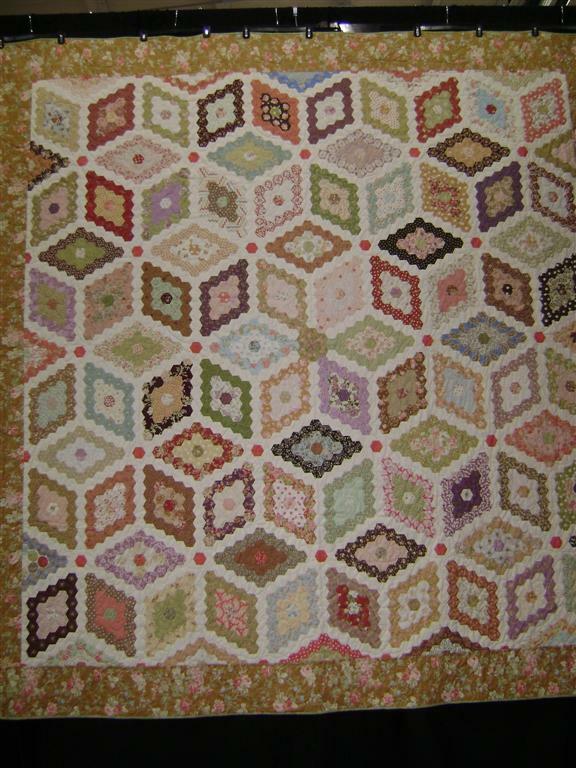 Greta’s quilt was one of my favorites. All the colors! Jean’s labor of love for her gandson’s graduation was quite the paper pieced effort – the eyes of the deer were so tiny! I witnessed her slave away to get it done in time for his special day. I wish my camera did these quilts the justice they deserved. 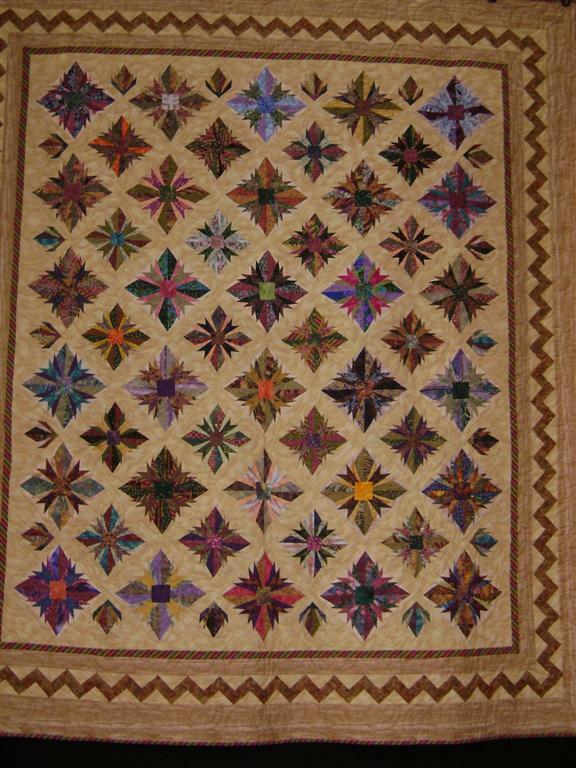 There were over 200 quilts at the show and they were all wonderful. Two years until the next show – there’s no telling what this group will come up with by then! 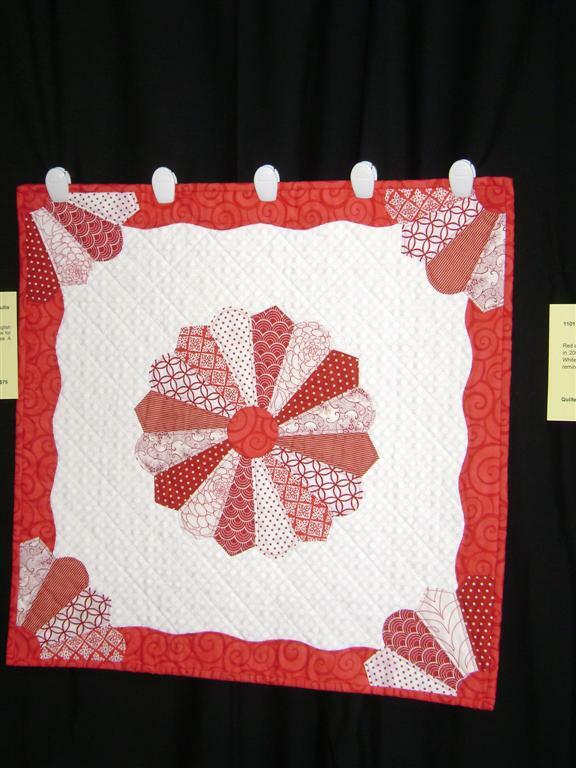 Posted in Quilting and tagged Quilt Show, Quilts. Bookmark the permalink.